Come on down for the last Market day of the 2015 season! Come join us for our last market day of the 2015 season. It sounds like the weather will cooperate and we will enjoy one of those nice mid-Fall days. Get your seasonal farm-pressed cider and fresh-picked apples from Grisamore Farms. Pick out your Hallowe’en pumpkin from Genoa Heights. Other vendors will have seasonal vegetables. The San Pedro Community will be back this week, selling Fair Trade-certified Equal Exchange coffee and chocolate products. We will even have a special food demonstration from Wells students involved in the Japanese Culture Club as well as our Japanese exchange students. 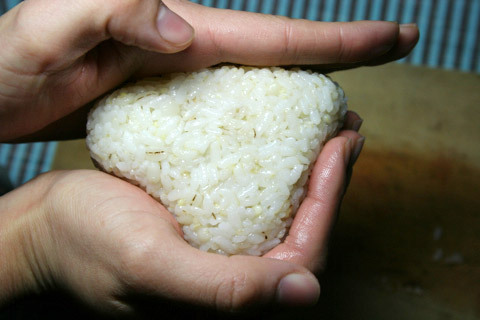 They will be making traditional Japanese onigiri (rice balls) – we will even have hot green tea to go with them (or hot coffee).